Home › News › News & Events › Can Magnetic Memory (MRAM) Replace SRAM and DRAM? Can Magnetic Memory (MRAM) Replace SRAM and DRAM? 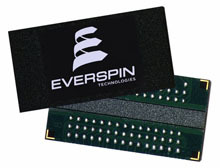 Everspin Technologies, Inc has unveiled what it believes is a capable candidate for replacing the venerable SRAM and DRAM memory in the form of precessional spin current (PSC) structure that enhances the performance of magnetic memory (MRAM). The company released its PSC structure results saying it will increase the spin-torque efficiency of any MRAM device by 40 percent to 70 percent, allowing the memory to achieve higher data retention while consuming less power. Spin Transfer says the gain translates to retention times lengthening by a factor of more than 10,000 while reducing write current. The results also show gains actually increase as the pMTJs (perpendicular magnetic tunnel junction) get smaller meaning the PSC structure opens new pathways to achieving embedded SRAMs in the latest 7nm and 5nm generations. Embedded SRAM is currently used in more than $100 billion of semiconductor end-products while $20 billion segments use DRAM devices. Spin Transfer believes MRAM with PSC could find a place in mobile processors, datacenter CPUs, storage, automotive, Internet of Things (IoT) and many more. Spin Transfer believes both SRAM and DRAM are beginning to suffer from limitations in terms of performance, costs and power issues. The PSC structure enables MRAM to address size and cost drawbacks of SRAM while addressing the volatility and power complications of DRAM. SRAM technologies, which are the current market standard on every logic chip, are beginning to hit size and performance limitations, inhibiting the growth in fields such as IoT and AI — including autonomous vehicles. 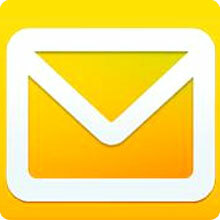 Likewise, DRAM, used in data centers and mobile devices, is running into rising power and cost issues. In data centers, MRAM will have higher performance and consume less electrical power. In IoT, MRAM will enable longer battery life and allow wearables, augmented and virtual reality to become consumer friendly. In autonomous driving, MRAM will allow for a higher level of connected car.